Aedes vittatus (Bigot) mosquito is a voracious biter of humans and has a geographical distribution throughout tropical Asia, Africa and the Mediterranean region of Europe. It is predominantly a rock-hole breeder, though it can breed in diverse macro- and micro-habitats. The mosquito plays an important role in the maintenance and transmission of yellow fever (YFV), dengue (DENV), chikungunya (CHIKV) and Zika (ZIKV) viruses. It has been implicated as an important vector of YFV in several African countries as evidenced by repeated virus isolations from the mosquito and its potential to transmit the virus experimentally. 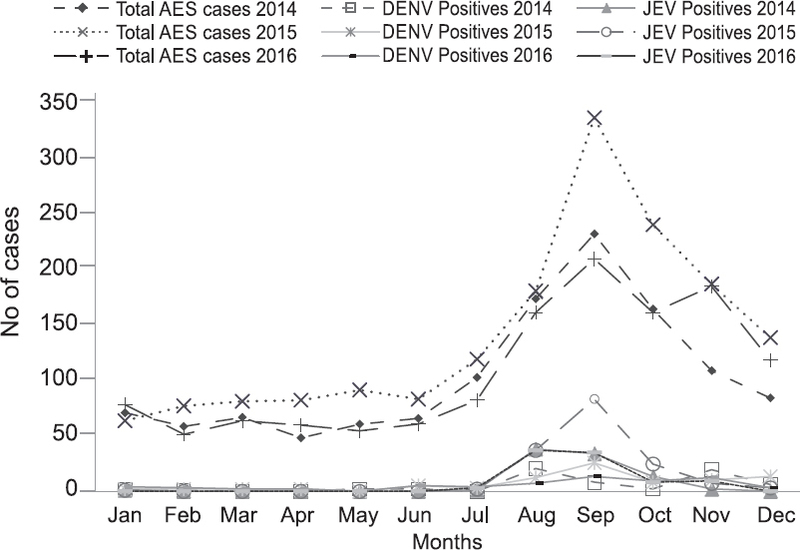 Similarly, DENV-2 has been isolated from wild caught Ae. vittatus mosquitoes in Senegal, Africa which has been shown to circulate the virus in sylvatic populations without causing human infection. Experimental studies have shown replication of the virus at a low scale in naturally infected mosquitoes while high rate of infection and dissemination have been reported in parenterally infected mosquitoes. Natural isolation of ZIKV has been reported from Senegal and Cote d’Ivoire from these mosquitoes. They were found highly competent to transmit the virus experimentally and the transmission rate is at par with Ae. leuteocephalus, the primary vector of ZIKV. A few CHIKV isolations have also been reported from the mosquitoes in Senegal and other countries in Africa. Experimental studies have demonstrated high susceptibility, early dissemination and efficient transmission of CHIKV by Ae. vittatus mosquitoes. The mosquitoes with their high susceptibility and competence to transmit important viruses, viz. YFV, DENV, CHIKV and ZIKV pose a major threat to public health due to their abundance and anthropophilic behaviour. Background & objectives: Entomological investigations were carried out in highly malarious villages under Ujina PHC of District Nuh (Haryana state) which is an epidemic prone area in northwestern region of India. The study was aimed to have an in-depth understanding of the entomological parameters influencing malaria transmission in the study area. Methods: The seasonal prevalence and biological attributes of vector mosquitoes were investigated during 2015 and 2016. Indoor resting vector mosquitoes were collected from human dwellings/cattle sheds and morphologically identified. Anopheles culicifacies were categorized to sibling species by species-specific inversions in polytene chromosomes and An. stephensi to ecological races on the basis of ridge number on egg float. The blood meal source analysis and incrimination studies of vectors were done by counter-current immunoelectrophoresis and enzyme-linked immunosorbent assay, respectively. Insecticide susceptibility test on vectors was performed as per WHO guidelines. Results: Seasonal abundance of An. culicifacies and An. stephensi in the study area showed variation; the peak densities of both the vectors were observed during monsoon months which correlated well with the average monthly rainfall data. 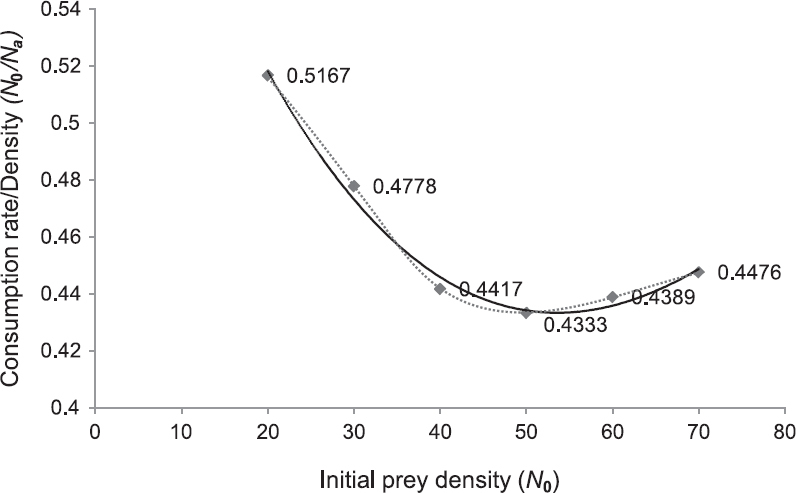 Though both vectors were found to be primarily zoophagic, the human blood index of An. culicifacies (HBI = 0.17) was significantly higher than that of An. stephensi (HBI= 0.02). Analysis of sibling species composition of An. culicifacies population showed that it comprised almost of sibling species A (>98%) which is an established malaria vector. Anopheles culicifacies was incriminated for Plasmodium vivax and P. falciparum circumsporozoite (CS) antigen during monsoon months in 2015 and 2016. Assessment of insecticide susceptibility status of malaria vectors against 0.5% deltamethrin revealed that An. culicifacies is more susceptible (95% mortality) than An. 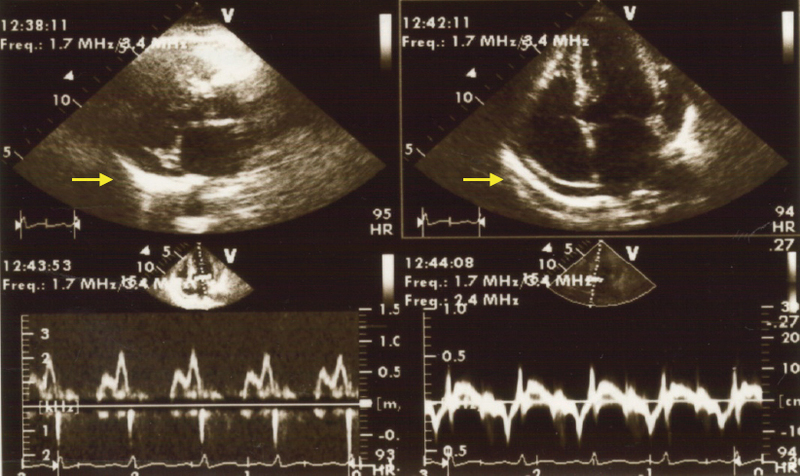 stephensi (85% mortality). Interpretation & conclusion: The results suggest that An. culicifacies (species A) is playing a major role in malaria transmission in the study area and is almost susceptible to deltamethrin. Timely two rounds of indoor residual spray of synthetic pyrethroid with proper dosage and good coverage would be helpful in reducing vector population and consequently the malaria incidence. In addition, personal protection measures by the community would supplement the major intervention tool (IRS) in decreasing the man-vector contact. Background & objectives: Q fever caused by Coxiella burnetii is a zoonotic infection that spreads to human beings from animals. 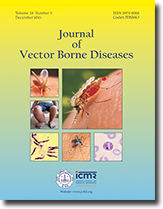 This study was aimed to demographically examine the C. burnetii seroprevalence in the people living in villages where Crimean-Congo haemorrhagic fever virus (CCHFV) is endemic, in terms of various risk factors such as tick bites, tick contact, and occupational groups. Methods: A total of 440 serum samples from those living in rural areas of Sivas and Tokat regions in Turkey were included in the study as a risk group; 387of them were serologically CCHFV positive (as confirmed in our previous research). Serums of the control group composed of 110 people living in urban areas. In all serum samples, IgG antibodies of C. burnetii against phase-I and phase-II antigens were diagnosed using the ELISA method. Results: Coxiella burnetii seropositivity was detected in 19.09% of those living in rural areas and 4.55% of those living in urban areas (p < 0.001, OR = 4.96). In terms of their approach to the ticks, no statistical difference was observed between the risk groups in the chi-square test (p = 0.787). However, according to univariate analysis, the absorbance means of antibodies reactive to C. burnetii was statistically higher for the rural people who have made contact with ticks than those who have not (p = 0.017). No seroepidemiological relation was found between CCHFV and C. burnetii serology (p = 0.787), and the rate of co-seropositivity between them was 5.43% (21/387). Interpretation & conclusion: The findings of the study showed that C. burnetii infection is epidemic especially in the people living in rural areas. Contact with ticks in various ways might have resulted in the increased risk of C. burnetii infection in the study. Personal protective measures against tick bites may be important for reducing Q fever risk as in other tick-borne infectious disease. Background & objectives: Crimean-Congo haemorrhagic fever virus (CCHFV) causes severe disease with fatality rate of 30%. The virus is transmitted to humans through the bite of an infected tick, direct contact with the products of infected livestock as well as nosocomially. The disease occurs sporadically throughout many of African, Asian and European countries. 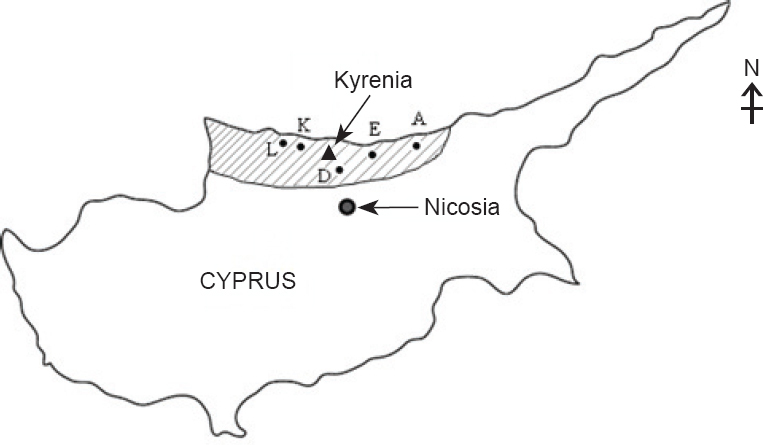 Different species of ticks serve either as vector or reservoir for CCHFV. This study was aimed to determine the prevalence of CCHFV in hard ticks (Ixodidae) in the Golestan Province of Iran. 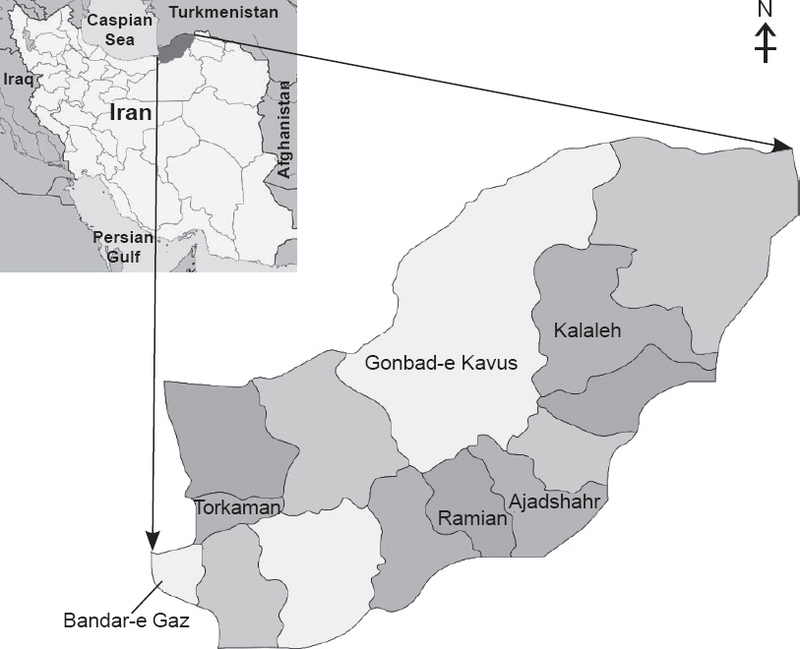 Methods: A molecular survey was conducted on hard ticks (Ixodidae) isolated from six counties in Golestan Province, north of Iran during 2014–15. 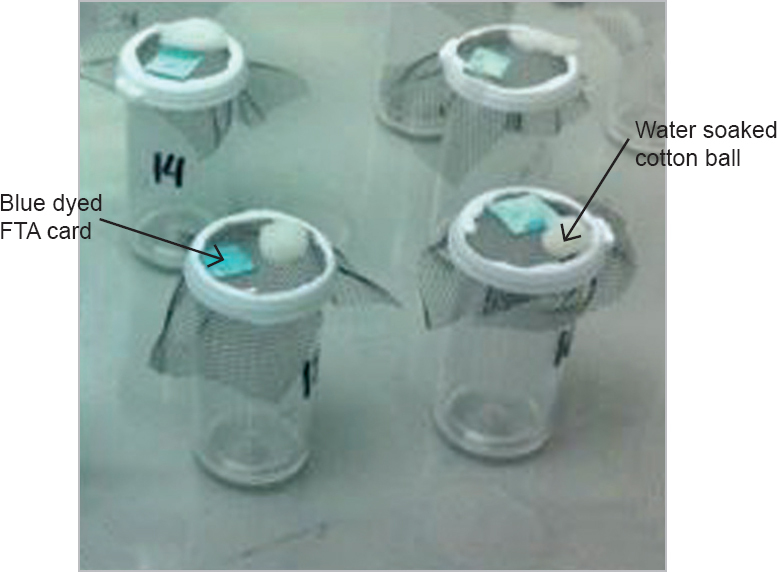 The ticks were identified using morphological characteristics and presence of CCHFV RNA was detected using RT-PCR. 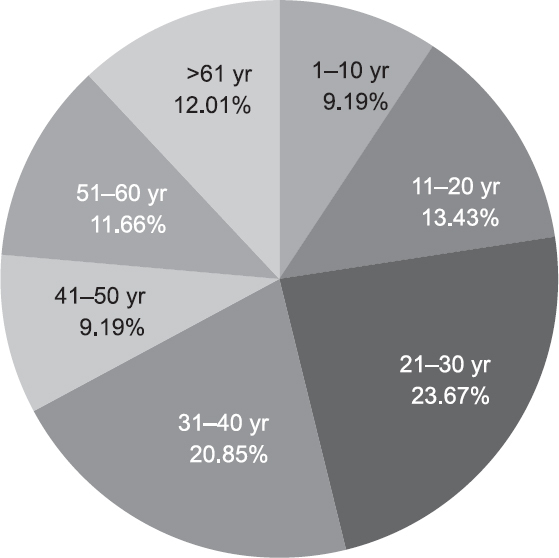 Results: Data revealed the presence of CCHFV in 5.3% of the ticks selected for screening. The infected ticks belonged to Hyalomma dromedarii, Hy. anatolicum, Hy. marginatum and Rhipicephalus sanguineus species. Interpretation & conclusion: The study demonstrated that Hyalomma ticks are the main vectors of CCHFV in Golestan Province. Thus, preventive strategies such as using acaricides and repellents in order to avoid contact with Hyalomma ticks are proposed.